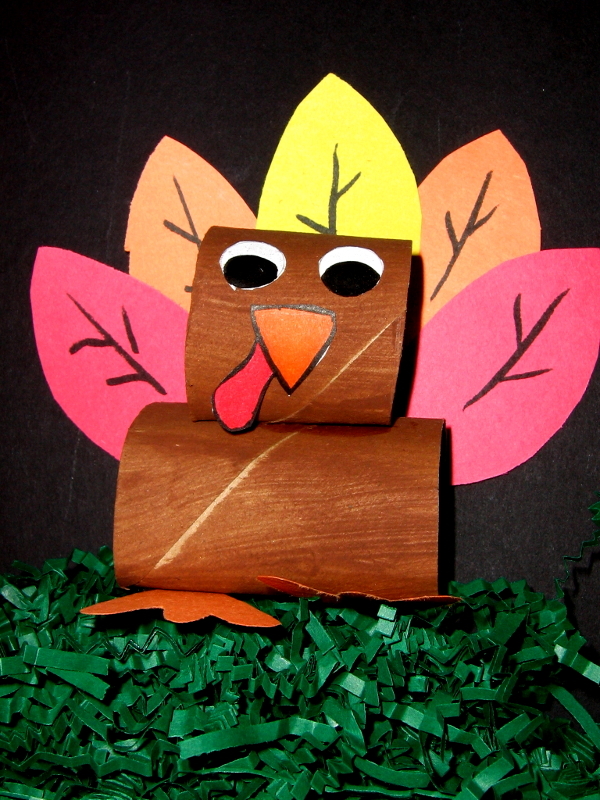 Students will create turkeys out of paper towel rolls. They can be used as display pieces. 1. 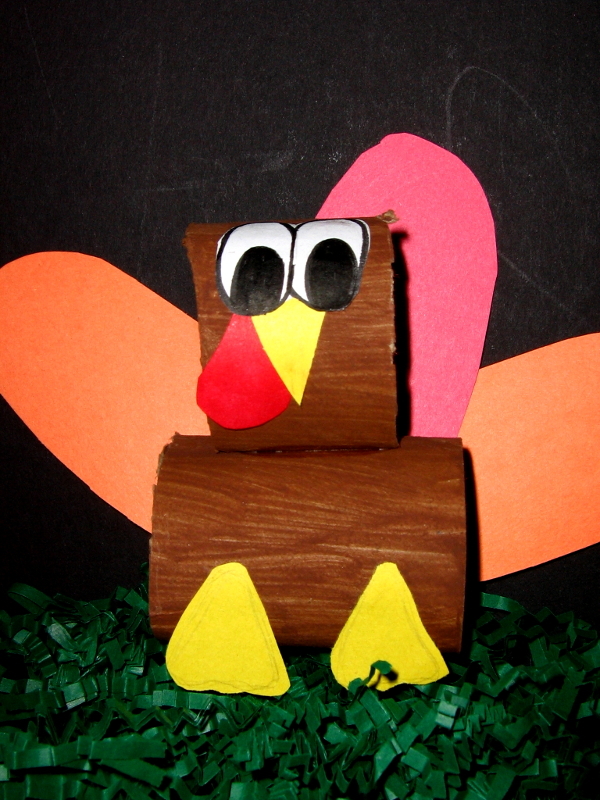 SWBAT create turkeys out of paper towel rolls. 1. Cut the paper roll into two parts, with one longer than the other. 2. Paint the rolls brown using acrylic paint. 3. After the paint has dried glue the shorter roll on top of the longer one. Use paper clips to help hold it together while the glue dries. This will form the body of the turkey. 4. Cut feathers out of construction paper and glue them to the back of the turkey. Make sure they're long enough to be seen behind your turkey. 5. Create and attach eyes, beak, feet, etc to the front of the turkey using glue. If time & resources allows have students make more than one turkey.